First We Eat: Food Security North of 60 celebrates the ingenuity, resourcefulness & knowledge of Northern Canadians and our relationship to the land through the food that we hunt, fish, gather, grow and raise in the North. Whether you are concerned with community (knowing where your food comes from and valuing the land and the people who produce it), sustainability, the nutritional value of your food, a finite oil supply, carbon footprint or food costs and accessibility – food security is a topic of interest for many Northerners. Suzanne Crocker, an award winning filmmaker and retired family doctor, set out to feed her family 100% local to her community of Dawson City, Yukon, for one full year starting mid summer 2017. During that period she only ate food that can be grown, raised, gathered, hunted, trapped and fished in and around Dawson. In the process she researched the wealth of local food options available as well as the challenges and the possibilities for increasing local food security across the Canadian North. Eating 100% local is, of course, entirely possible. A diet of wild meat, fish, berries, roots, and wild plants was the norm for thousands of years. 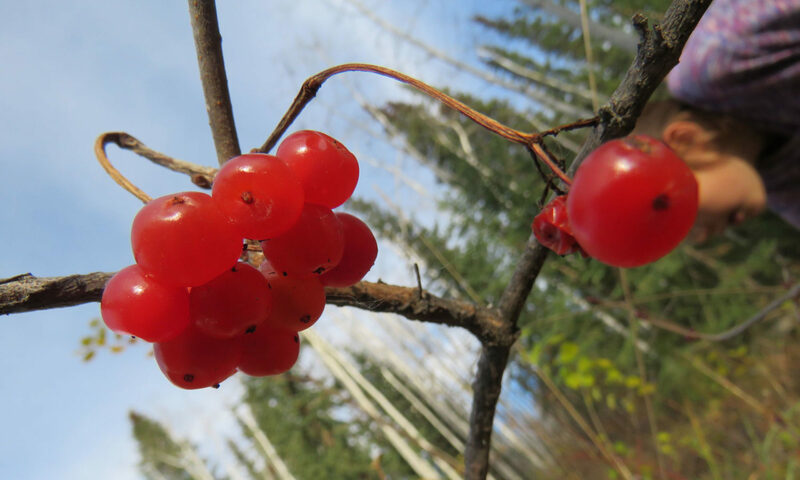 Suzanne wanted to explore the extent of the possibilities if we combine wild foods with food that Northerners have been able to cultivate, raise, overwinter and breed.The kitchen was not Suzanne’s ‘natural habitat’ and she was not a master gardener. Far from being an expert, Suzanne considered herself more of a ‘blank page’. By collaborating with northern expertise, traditional knowledge and local producers, her year was successful. Suzanne’s family (husband and three kids aged 17, 15 and 11) were not overjoyed at the prospect. However one of Suzanne’s challenges was to provide enough variety of delicious local meals and ready-made snacks for her family, so they did not feel the need to set up their own larder. The delicious foods she created, with the help of celebrated Yukon chef Miche Genest and others, contributed to the success of the year of eating only locally. First We Eat still welcomes contributions of recipes that can be adapted to include only items from our list of local ingredients! “I can google tips for growing celery or how to grow oats, but I will usually find a southern solution. I hope this project will become a sort of crowd-sourced guide to Northern food solutions—a place where northern knowledge and expertise is easily accessible and shareable, not just for me and my community but across the North.” – Suzanne. The documentary film about Suzanne’s year eating only local foods is targeted for completion in 2019. Meanwhile, you can view a sneak peek of the trailer here. Following from my home in Redmond, Washington state. Kudos to you and your family for your efforts in exploration, invention, creativity, science, and unique parenting! Wow! I am am inspired by your will and determination to even attempt this journey. Love the idea and looking forward to seeing updates and outcomes!